Purchased At: Book Sale SM Bicutan for 150pesos only. CLICK HERE for Top 5 Book Store Recommendations to buy secondhand books. PS I Love You is a story of holding on, letting go and learning to love again. Its about Holly and her moment of grief to husband Gerry who had died at a young of 30 years old due to brain tumor. Little did Holly know that Gerry prepared her a series of letters to help her live again. It was month after month of surprises and new discoveries. Holly Kennedy - Holly is a beautiful, smart, young widow and the main protagonist in the story. She shares the sad life of losing someone important in your life and she learned to ease the pain and start a new life, thanks to her husbands secret "List". Gerry Clark - Gerry is a funny, affectionate and loving husband of Holly. His life was taken away in the tender age of 30. He then proved to stay by Holly's side till the end through preparing a series of surprised letters filled with hope for a new life. Sharon McCarthy and John McCarthy - Sharon and John are two best friends of Holly and Gerry. They were married and had always supported Holly during her grieving process. Sharon had been Holly best friend and been with her as she unravel each of the envelop in Gerry's list month after month. Denise Hennessey and Tom O'Connor - Denise is one of Holly's best friends too. She is the fiancée of Tom whom she met during at the Hogan Pub where Holly sang as part of Gerry's list. Denise joined Holly and Sarah during the great Holly day trip arranged by Gerry. She and Tom got engaged after four months of dating. Daniel Connolly - Daniel is the owner of Hogan Pub. He lost his fiancée to another man and developed a friendship to Holly. Richard, Jack, Ciara and Declan Kennedy - Richard is the oldest brother of Holly and the she didn't get along at first. She later realized that her brother has a soft spot too. Jack will pass as Holly's twin brother because they got along very well. Ciara is Holly's younger sister and the one who is filled with adventure in the family. Declan is the youngest of the siblings and a rock band enthusiast. Elizabeth and Frank Kennedy - Holly's parents who supported her to survive the tragic event of losing a husband. This book has been sitting in My Waiting List section for awhile. I knew I have to read it someday and I'm glad I manage to include this on my 17 Books Before 2017 Reading Challenge. I've been very much aware of the popularity of Cecilia Ahern being the author of Love Rosie but it was PS I Love You, her first novel at 21, that led her to much popularity. I was super excited to read this book ever since I got it and I thought it was going to be good. Maybe I expected a lot from this book and to be honest my review might offend those who loved the book so much. I sincerely apologize if ever. 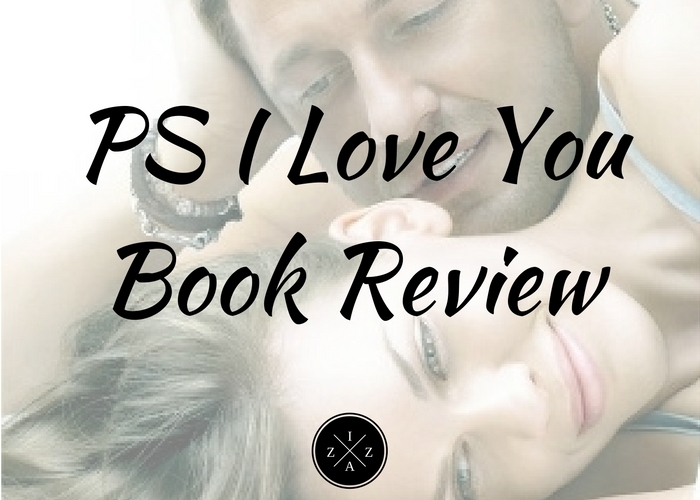 Now PS I Love You is not a bad book. I have my moments of joy reading it. It has amazing pages that I will always remember. What Holly had gone through is not very easy and I can feel how much of love and longing she has for Gerry. The first few chapter of book is very well-written and made me really in the zone. However, I feel like PS I Love You has too much irrelevant parts. I didn't like the whole "Girls and the City" part because I felt like Ahern wasted more pages in it but it didn't help at all in the book. There's also the person who tidy Holly's garden anonymously. It was build up too much and then it was just Richard, her brother, after all. I actually thought it was Daniel. I felt like a lot has been happening on the other characters rather than Holly. And when she does have her moment which is every time she opens a new letter from Gerry, it wasn't given much focus that the momentum of emotion is gone in an instant. I do love page 237 when Holly began to share her thoughts of how afraid she is to talk about Gerry now that he is gone. I felt her emotion reading those lines. It was the best moment for me reading PS I Love You because each words just cut deep into your heart. This book has a movie adaptation which I have yet to watch. I already saw the trailer and I can sense some differences already. But since I am the type who watch the movie first before reading the book I guess it was my lack of reference that led me become a bit bored in the middle of the book. Now I have to watch the movie to regain some affection in Ahern's first book. Reading PS I Love You will show you the struggle of losing a loved one and how one will do everything to cope up with the loneliness. It offers the love of family and friends, the hope of new opportunities and the promise of new life. Those people we lost along the way will help us get through it someday.